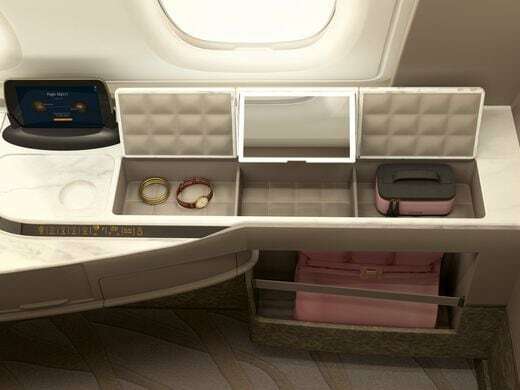 Singapore Airlines has now launched their new cabin products for the A380, including an all new first class suite! 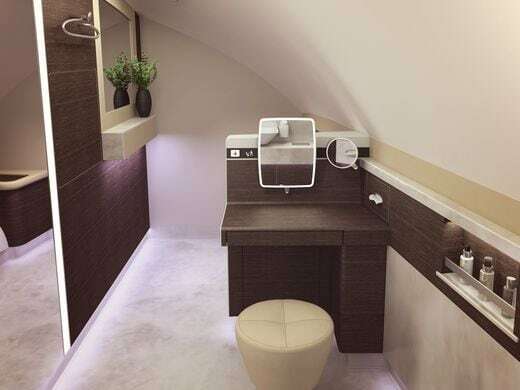 The long-awaited introduction of the new cabin products – in Suites, Business Class, Premium Economy Class and Economy Class – follows four years of development and extensive testing with customers. 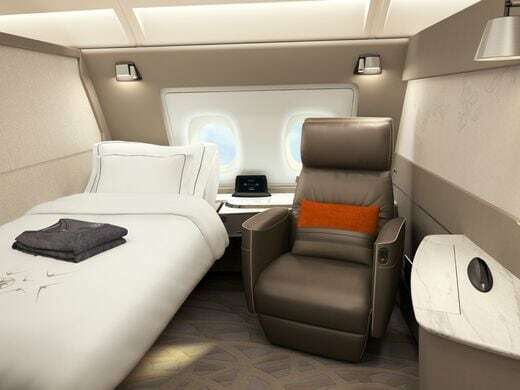 The new Singapore Airlines A380 first class suite ups the ante in the battle for first class with Middle Eastern rivals Etihad Airways (which offers ‘The Apartment’) and Emirates (which will also shortly be announcing a revamp to their existing suite product). In my opinion, Singapore Airlines first class service is second to none, and I’m really excited to test out this new product to see whether it catapults Singapore Airlines back up to the top of first class offerings. The new products will initially be fitted on five new A380s. In addition, retrofit work will take place on 14 existing aircraft. The overhauled A380s will fly with 471 seats, including six suites (down from 12 on Singapore’s existing A380 layout). 78 seats will be business class, all located on the upper deck. A total of 44 premium economy and 343 economy seats will be located on the lower deck. 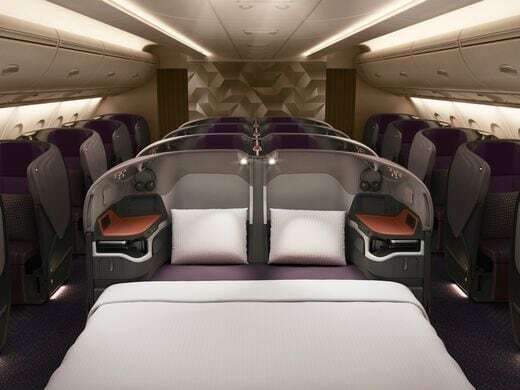 The press photos released by Singapore Airlines show an elegant suite featuring lots of room to stretch out. Travellers can enjoy relaxing in a Poltrona Frau swivel chair, upholstered in fine leather. The suite features a 32 inch HD TV, sliding privacy doors and a full-flat bed that can be stowed into a dividing wall to free up space when not in use. A folding ottoman-style stool accommodates dining companions. Two of the suites can be combined via a lowered divider, essentially creating a two-person suite with a double bed. The suite features abundant storage space, including padded compartments suitable for jewellery. 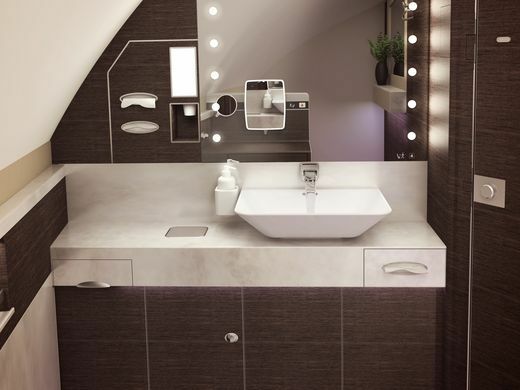 The first class bathrooms have also undergone an elegant and modern overhaul. Though, sadly, unlike Emirates and Etihad, Singapore Airlines has chosen not to install an in-flight shower. I’m really liking the redesigned business class seat, too. While the pitch of the seat is narrower than current products, the seat looks to feature good privacy and plenty of clever storage space. And like the first class suite, a centre set of business class seats is easily combined into a double bed by lowering a divider – something that few airlines offer. The new products will debut on the Singapore-Sydney route from 18 December. 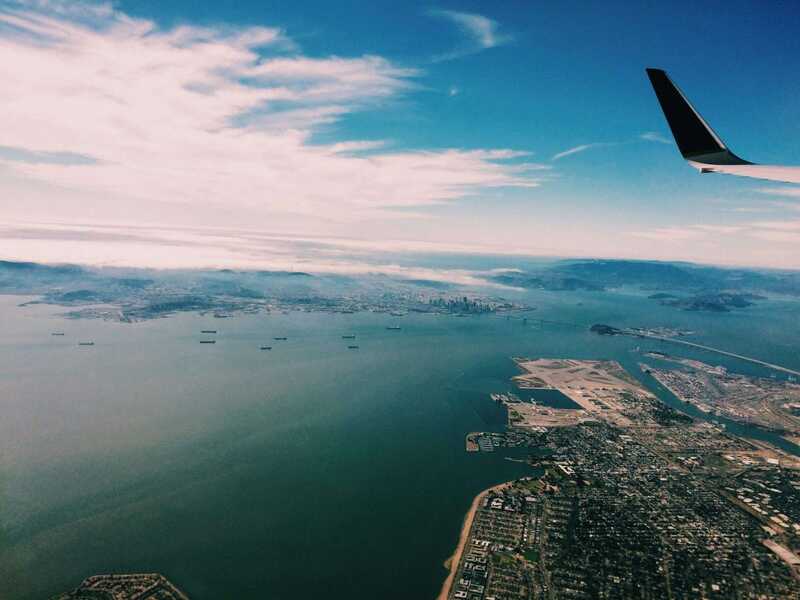 The second route is rumoured to be Singapore-London (we’ll update you once we know more). 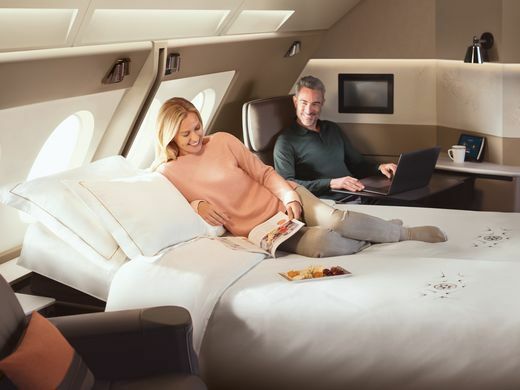 While Singapore Airlines have blacked out cheaper ‘Saver’ award availability for the confirmed Sydney-Singapore flights, there are still some ‘Standard’ awards available, allowing travellers to book a tryout of the first class suite for 150,000 points one way. I’ve personally splashed out on an award booking on flight SQ232 from Sydney to Singapore in late December, and can’t wait to report back on how I find the new suite! 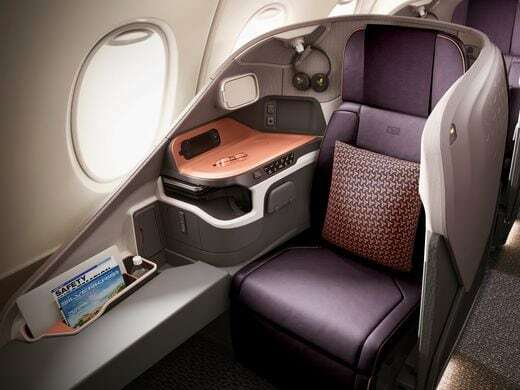 What do you think of the Singapore Airlines new first class suite?